This isn’t really a recipe post, though I’ll post generally what I used or link to recipes I remember using. 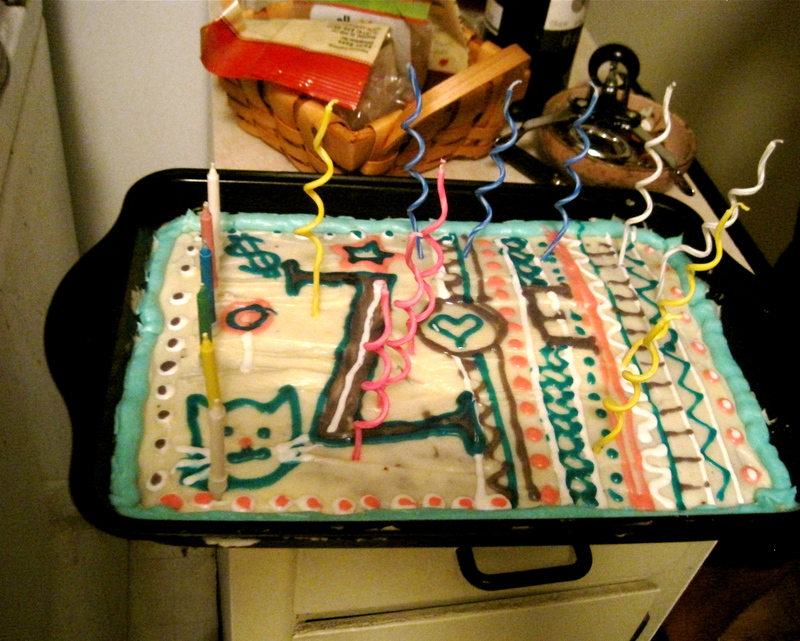 But mostly I wanted to share the epic cakes of the Ripe Avocados team + friends through the ages. Because, really, we are pretty good at our cakes. 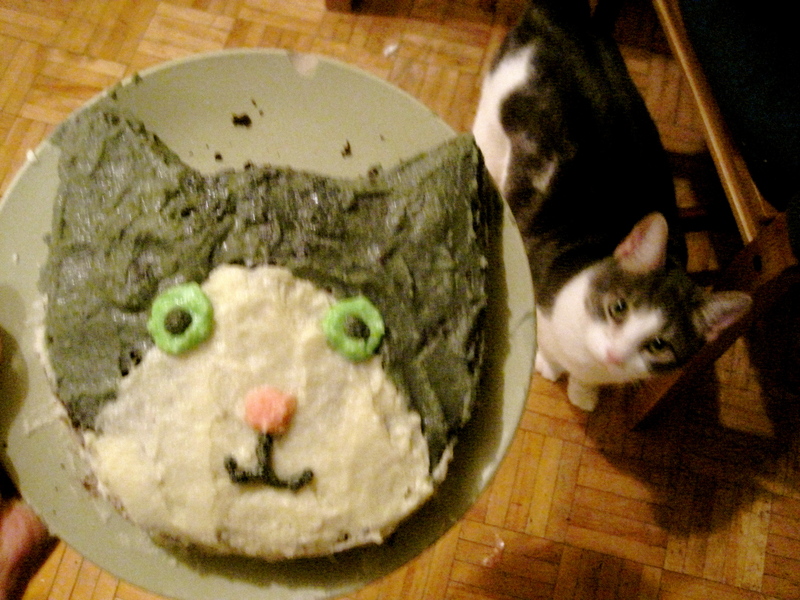 First up is the cake I made for my now-roommate Dan, featuring his BFF Casper! I think I used this recipe for the frosting and probably some sort of basic chocolate cake recipe. Next up is the crazy cake made for the lovely Zoe’s birthday! Romea did all the nice patterning on the right side, while I doodled around on the left side. I used the original Moosewood brownie recipe for the base since they were Zoe’s favorite as a kid! Two years ago, I asked my boyfriend what kind of cake he wanted for his birthday. 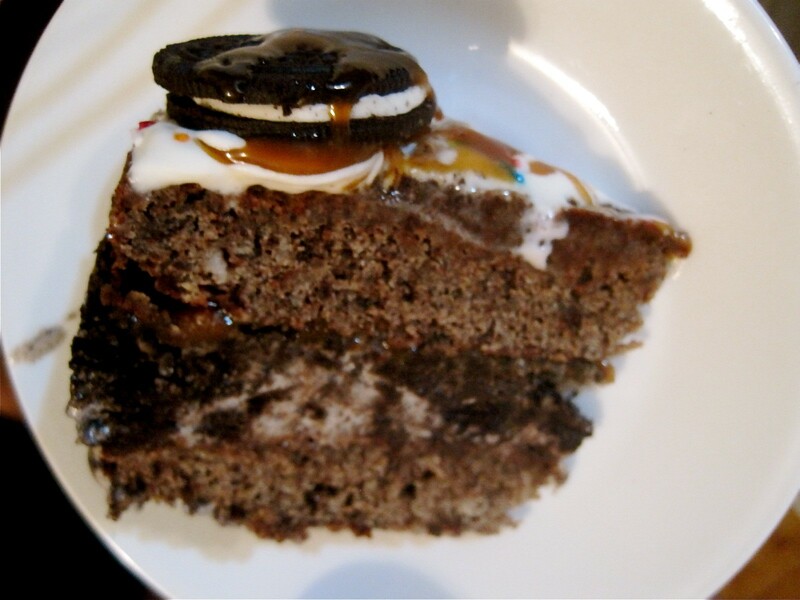 He said, “Oh, when I was a kid I always asked for an Oreo ice cream cake, but I know you can’t make that, so whatever you do will be fine!” Challenge. Accepted. 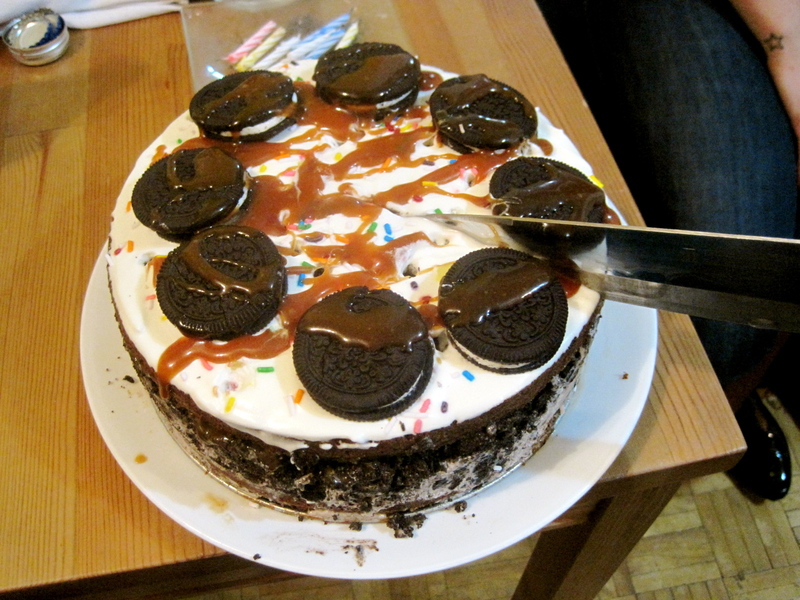 I made two layers of basic chocolate cake and a batch of caramel sauce, and assembled it in a springform pan with 1 layer cake, drizzle of caramel, layer of oreo ice cream, drizzle of caramel, one layer crushed oreos, more caramel, other layer of cake, frosting, sprinkles/oreos, and final caramel drizzle. 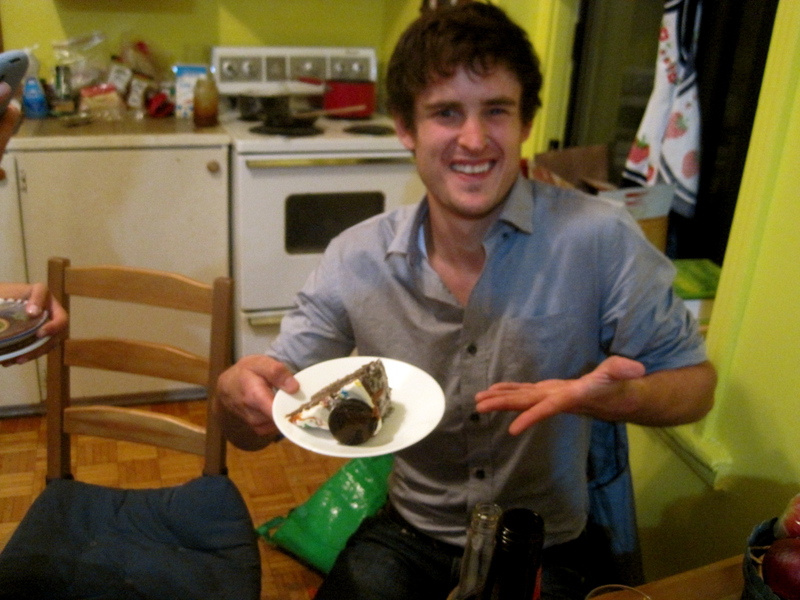 Freeze for a bit before un-springforming it, and you’ve got yourself an ice cream cake and a grateful dude! 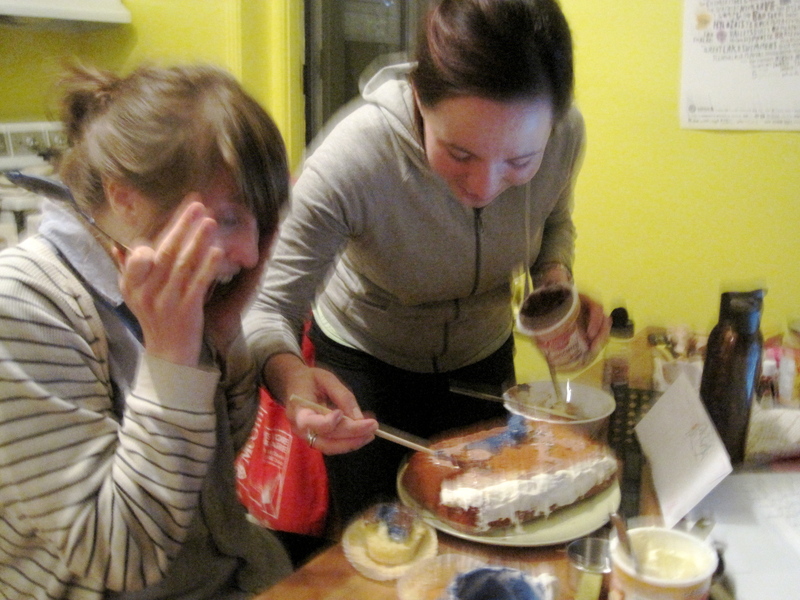 your ripe avocados team going crazy about how great this cake is going to be! And one of the truly most epic cakes–a Beyonce-themed cake for our buddy Mikey’s birthday! 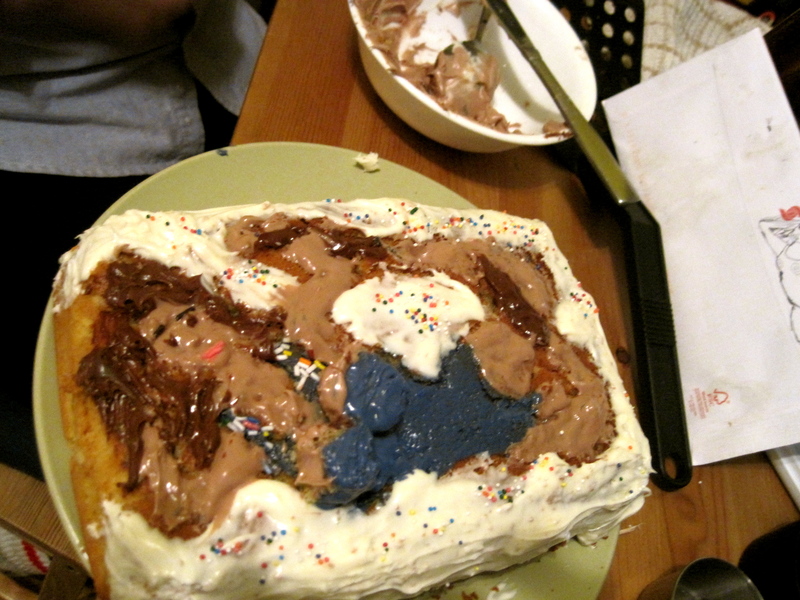 Based off this picture, we tried our best to do justice to Bey’s banging bod in a frosting medium. I think we used the same frosting recipe linked to above and a basic white cake recipe, and got Mikey one step closer to Mrs. Knowles. 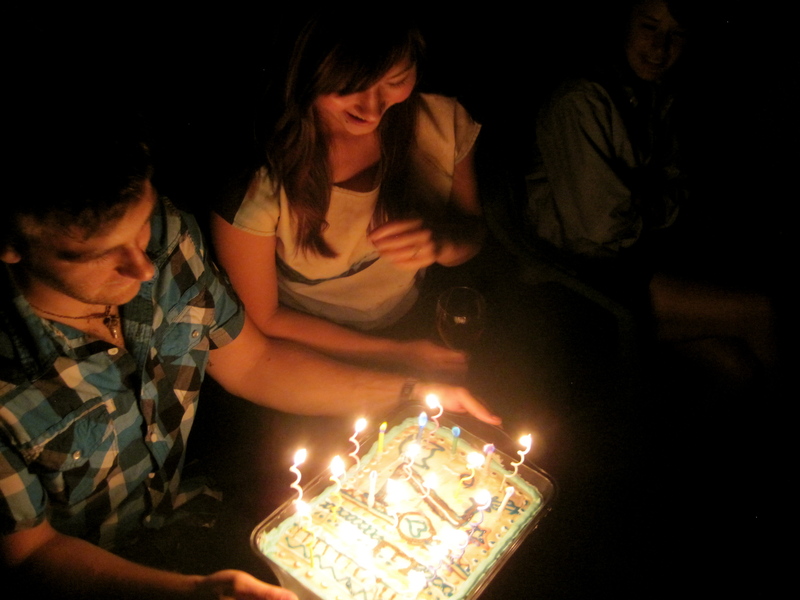 The most recent cake takes us full circle, back to Dan’s birthday one year later. 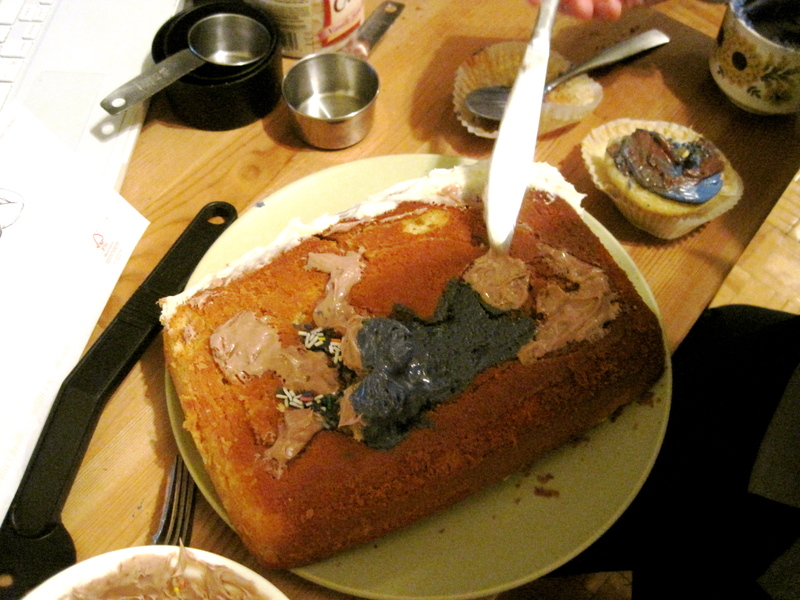 He is a sporter and lover of mustaches, so it was decided that a mustache cake was the only possible route. I made this with the lovely Julia, and I have absolutely no idea what recipe we used. 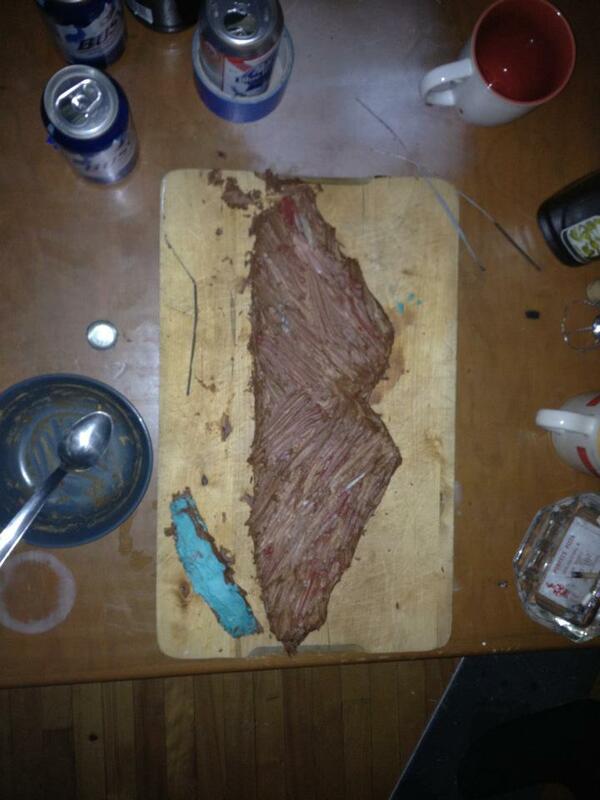 The turquoise thing in the corner is a comb made of cake, a bit hard to see at this angle. This picture is from my other roommate Cam, who also has an epic video of Dan smashing his face into the mustache that I will do my best to obtain! And there’s our first collection of epic cakes! There’ll certainly be more to come, in the meantime, go forth and make your own silly cakes for your friends!